We've been looking for a way to display the kids artwork for a while and with the renovation of their bedroom, suddenly we had a lot more wall space that could be utilised for just this purpose. After a trip to Ikea for their affordable Nyttja photo frames, we were ready to make some art! 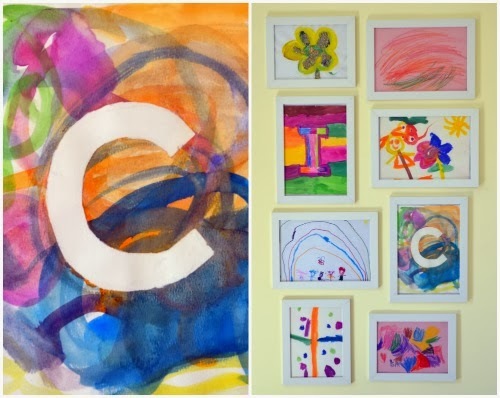 After the jump check out a simple but fun way to personalise your kids room with watercolour negative space initial art. Step 1: Either using a template or free handing it, mark out where you want your letter to go. Then using the washi tape, tape in the space that you want to remain unpainted. Step 2: Using your watercolours, paint away. 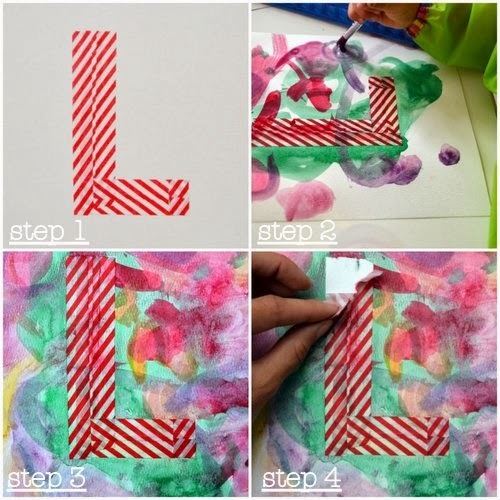 Try to leave no white remaining, this will make your letter stand out more once you remove the tape. Step 3: Let dry (5-10 minutes). Step 4: Carefully remove the tape. Washi tape is great because it removes easily without tearing the paper. Step 5: Frame and admire your artwork! 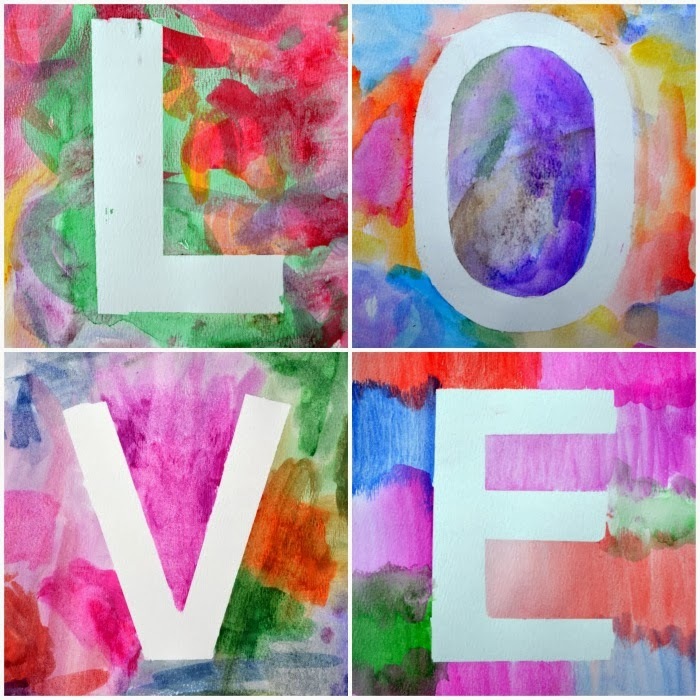 This is also a great craft for valentine's day.Happy Painting!